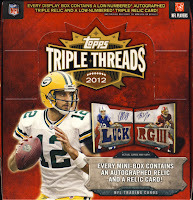 Last year Topps added an additional hit to each mini box of Triple Treads Football. 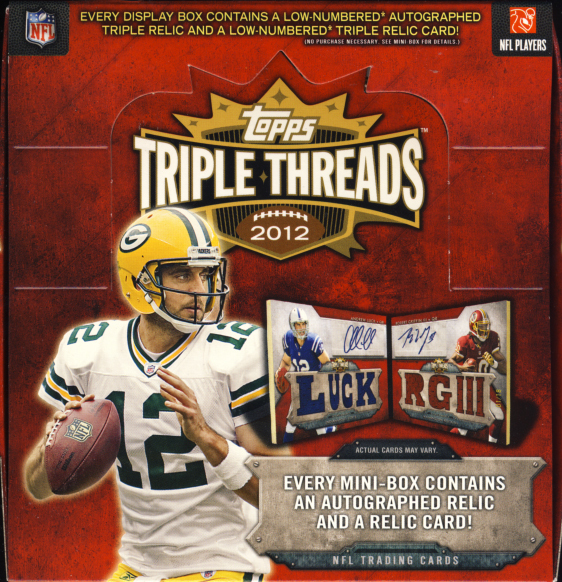 Those hits, called unity cards, are gone in 2012 Topps Triple Threads Football but the additional hit remains, each mini box still contains one autographed relic and one relic card. 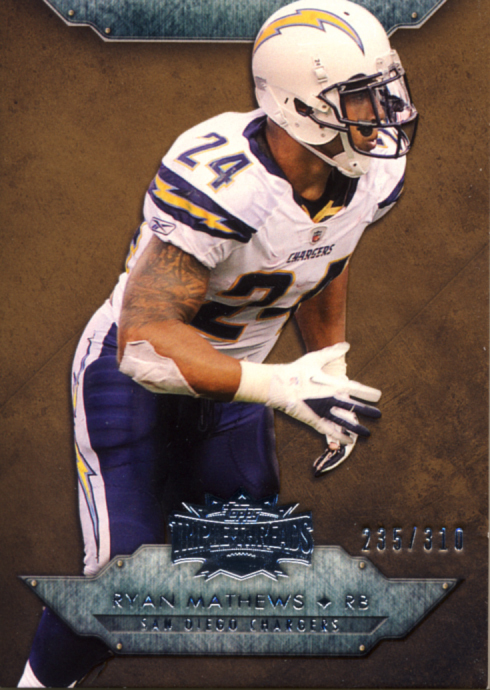 The major changes have come from a design level, most noticeable on he base and parallel cards which have gone from full bleed photography to isolated players on faux slate backgrounds. 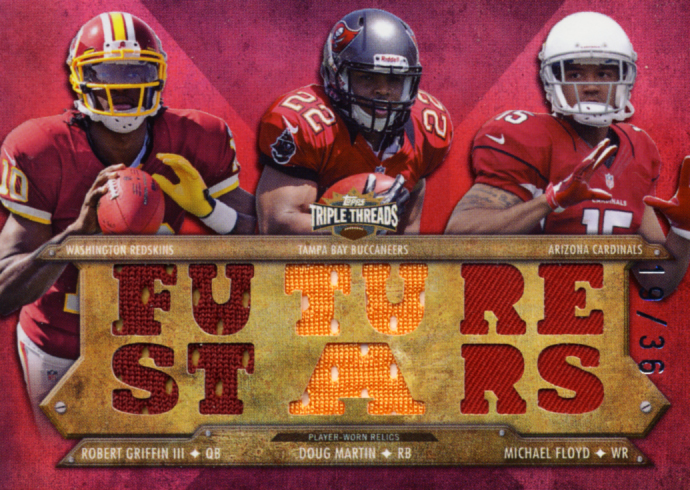 Triple Threads comes close to looking like Five Star minus some bordering flourishes which might please some collectors but starts to make the releases run together. 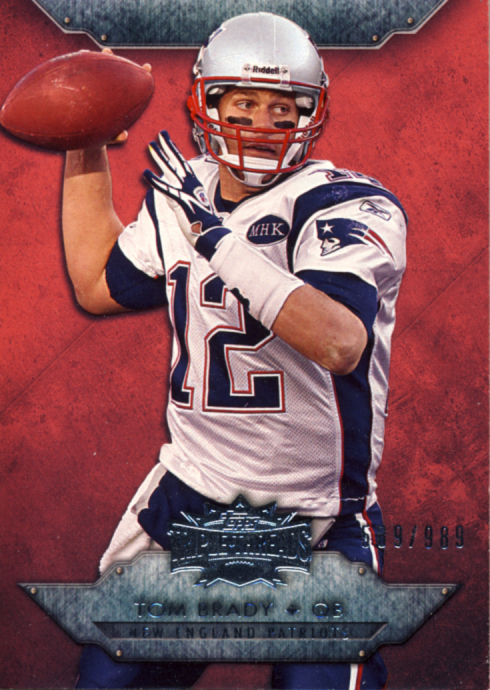 The thing that still sets Triple Threads apart is the iconic die cut sayings that overlay the relic pieces. 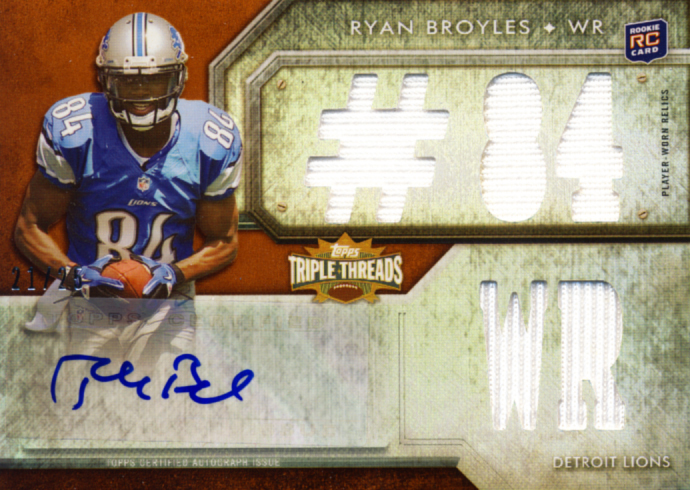 Topps Triple Threads Football fits into our premium cards category. 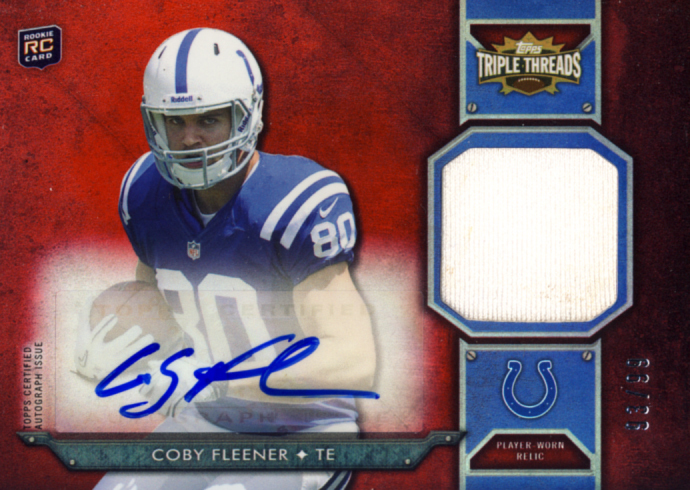 Each display box, which holds two mini boxes, contains a low numbered autographed triple relic and a low numbered triple relic card. 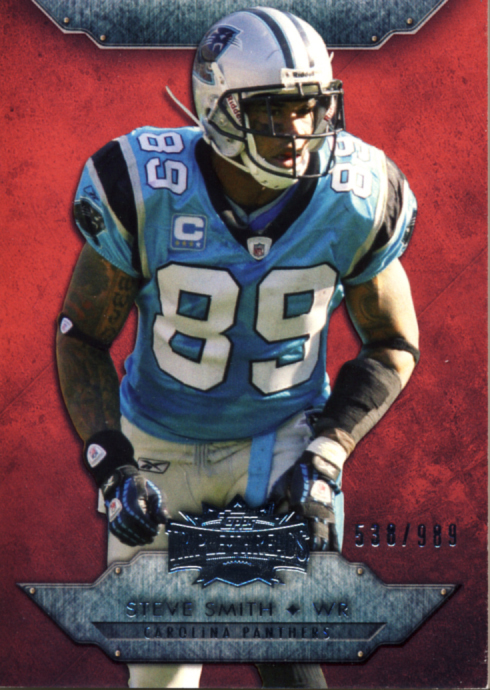 Each mini box contains 7 cards. 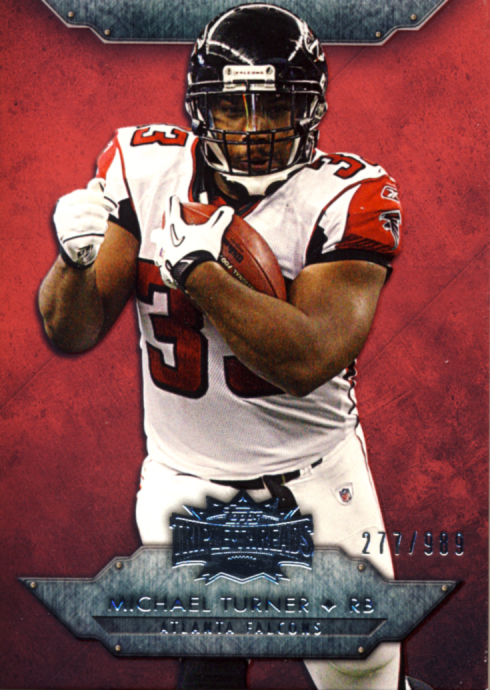 The base card design here is strong with effective use of spot UV on the players and bordering that separates the action from the background. 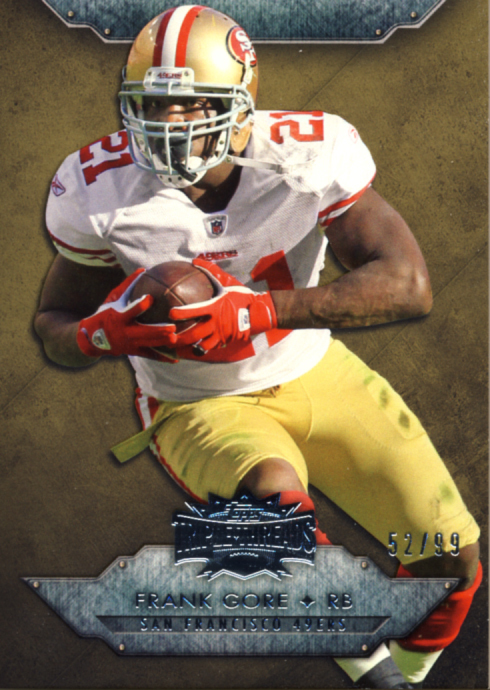 As mentioned before, while the design seems to lean towards a Five Star look, the hit cards have retain that classic Triple Threads. Triple Threads football does have a heavy premiere rookie lean but the majority of the checklist is high quality and in line with the feel of Triple Threads from years past. 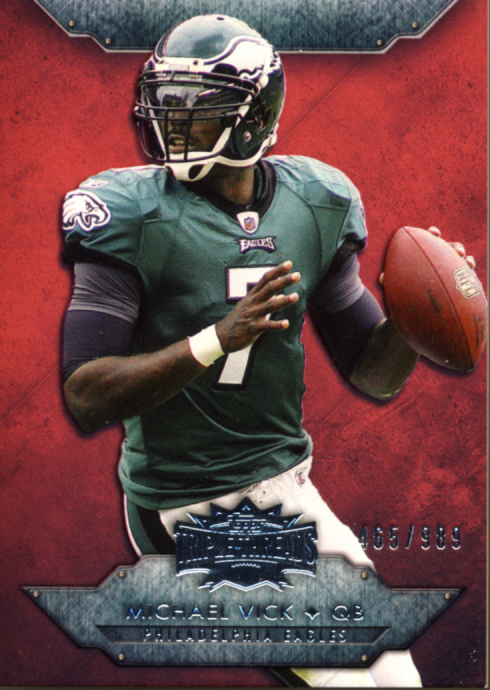 I kind of miss the unity cards with interlocking backgrounds because it gave collectors an additional level of collecting to go for if they felt up to the challenge, but I have a felling I might be in the minority with that opinion. 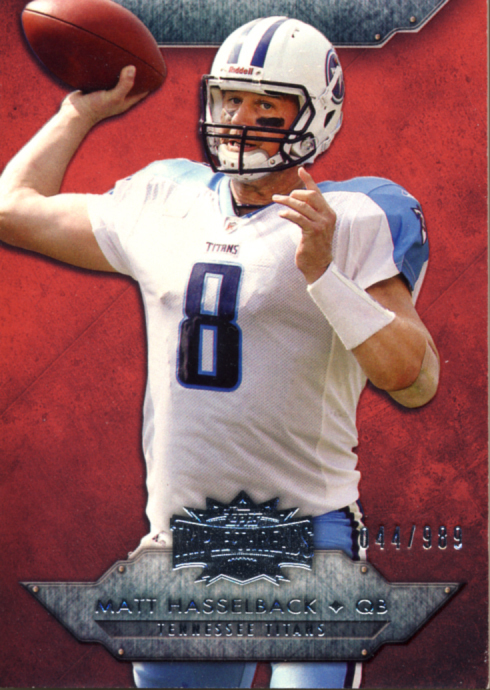 There are some big hits especially if you pull one of the booklets, but for the most part this rookie centric product might feel rather familiar compared to other releases his year. 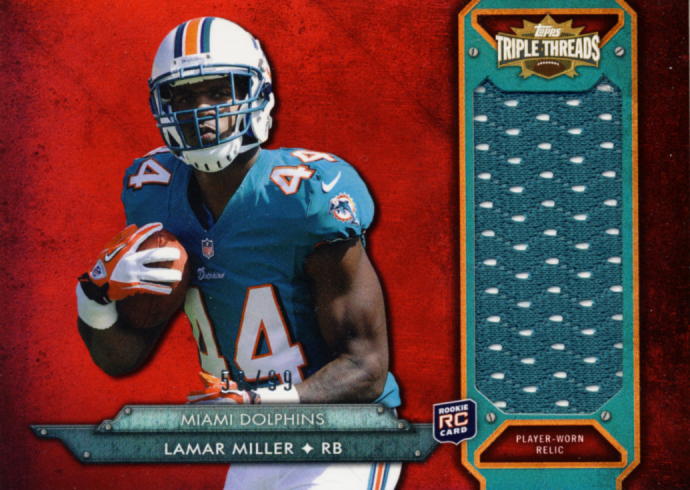 Triple Threads is always fun to open. 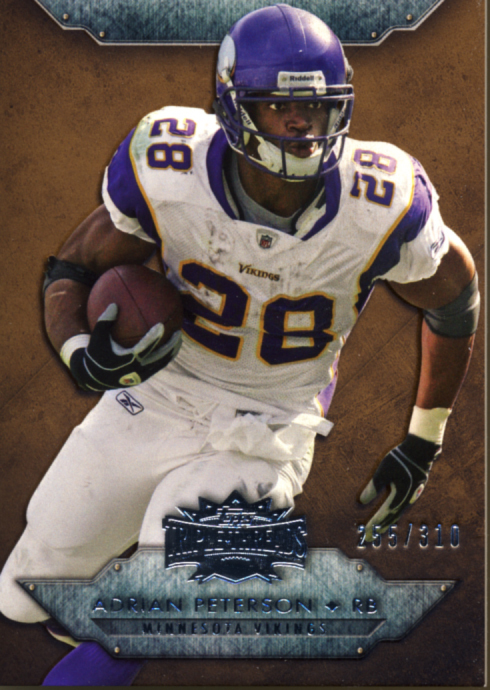 It is a product you will return to time and time again. 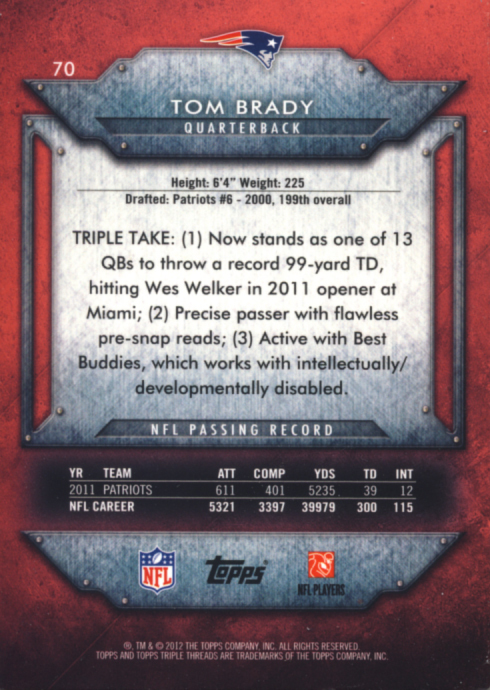 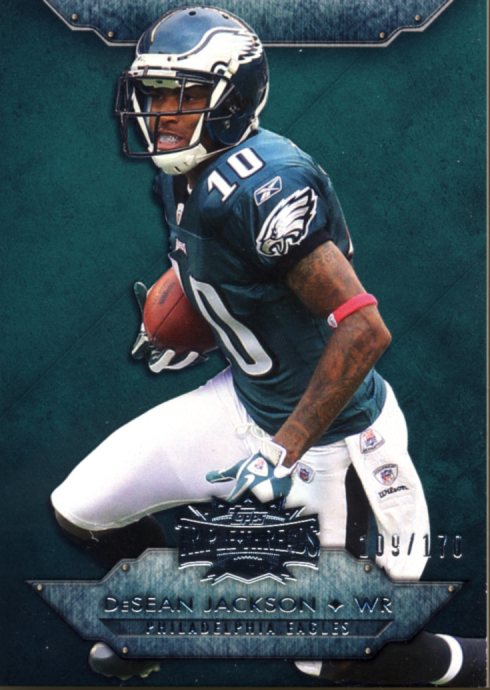 2012 Topps Triple Threads Football delivers other solid release, a collectors' favorite year after year.